Miramichi gets first glimpse of proposed pellet plant - Northern Energy Solutions Ltd.
Not wanting to over promise and then under deliver, Northern Energy Solutions Ltd., waited until Wednesday to reveal their plans to the public for a new pellet plant in Miramichi. Fenton Travis, the project’s manager, said the open house was held to give people an opportunity to see what has been planned over the last four years and let them ask questions about it. “It’s to let them know about the project we’re proposing to build in their community,” said Travis. 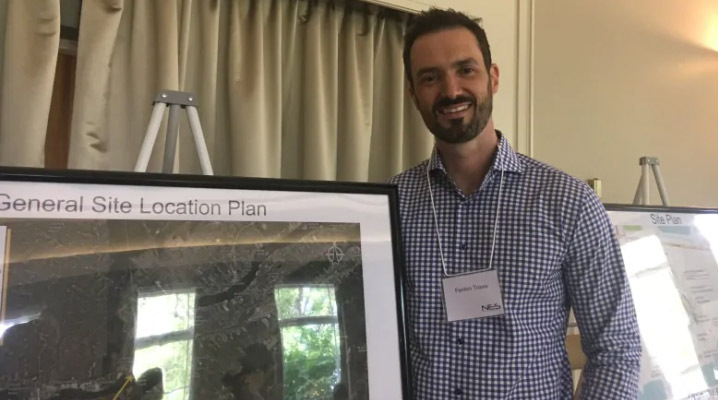 Travis said Northern Energy Solutions Ltd., plans to operate a 275,000 ton wood pellet plant and then ship its finished product to Europe when it opens in 2021. “In Europe, they have environmental regulations that require them to reduce the CO2 that they’re using in their power generation,” he said. When it’s built, the plant will operate on the former UPM mill location which is now in a brownfield state. The plant would employ 60 people directly and another 70 people indirectly through wood harvesting and trucking. Travis added the region would see other economic spin-offs as well. “This type of facility actually meshes really well with existing sawmill operations,” said Travis. The pellets will be made with pulp wood and the tops and branches of trees from other wood operations that would otherwise be considered waste. Travis said they will also be using sawmill residuals including bark and sawdust. Travis said while a lot of work has been done over the last four years on the project, it was delayed because the wood pellet market went through a decline between 12 and 18 months. Now, with a strong market and negotiations ongoing for sale of the product in Europe, Travis said the company is very close to signing an outtake deal. The open house had to be held before the company submitted its industrial permit application later this month. Transportation Minister Bill Fraser said he doesn’t expect there to be any issues with the application. Fraser continued by saying he was very happy to see a revitalization​ of the forest industry in the Miramichi region. Kyle O’Shea, the business development manager at NBCC Miramichi, attended the open house and said he was happy with what he saw. “Anything that brings jobs and prosperity to Miramichi is a good thing,” he said. He said the pellet plant will provide benefits through the indirect jobs it will create from the market of the lower grade wood.